“But when the Helper comes, whom I will send to you from the Father, the Spirit of Truth, who proceeds from the Father, he will bear witness about me” (John 15:26). Imagine reading a murder mystery, getting to the part where you’re told who “did it,” but discover-ing that the rest of the pages are missing. You know who did it, but you don’t exactly know how they did it. Trying to understand the Trinity is sort of like that. The Bible clearly states that there is only one God: “The LORD [i.e., Yahweh] our God, the LORD is one” (Deut. 6:4). But Yahweh exists as three Persons: Father, Son, and Holy Spirit. God is three distinct Persons. He is not successively Father, Son, and Holy Spirit (Sabellianism); he is simultaneously Father, Son, and Holy Spirit. Otherwise, how would we make sense of the baptism of Jesus? God is three equal Persons. The Son is not inferior to the Father (Arianism). Yes, Jesus did say, “The Father is greater than I” (John 14:28). But what he meant was that the Father is greater in authority. Jesus also said, “I and the Father are one” (John 10:28). He meant that he and the Father are one God. Can we completely understand the Trinity? No. But the fact that we can’t completely understand the Trinity doesn’t mean it’s not true. The fact that my three-year-old daughter can’t understand gravity doesn’t make it not true. We—humans, both male and female—have been made to be like God. Are we like the Trinity? God existed eternally as Father, Son, and Holy Spirit. Jesus prayed to the Father, “You loved me before the creation of the world” (John 17:24). God was never alone. Before he made the woman, God said, “It is not good that the man should be alone” (Gen. 2:18). We were made to not be alone; we were made to be like the Trinity—to enjoy relationships. In the Trinity, there is unity and diversity. The Persons of the Trinity have different roles, but they work together in perfect harmony. In the Trinity, there is authority and submission. The Father is first in authority, the Son is second, and the Spirit is third. It’s the Father and the Son who send the Spirit, not the other way around. Yet all three Persons are equal. Authority isn’t superiority. In the Trinity, there is no jealousy or resentment. The Trinity is a model for all of our relationships, including our relationships with one another in this church. A church should be like the Trinity in two ways. 1. A church should exhibit both unity and diversity. Jesus prayed, “May they be one, even as we are one” (John 17:11). Are we one? In every church, there is diversity, but is there unity? Romans 3:23 says, “All have sinned and fall short of the glory of God.” The “glory of God” is the image (likeness) of God. When you take our differences and then add to it our sinfulness, you often get disunity—which is not God-likeness. We have also been given diverse gifts (abilities) from the Holy Spirit. “There are varieties of gifts, but the same Spirit; and there are varieties of service, but the same Lord; and there are varieties of activities, but it is the same God who empowers them all in everyone” (1 Cor. 4:6). We are to work together in harmony (like the Trinity does), not unison. 2. A church should embrace both authority and submission. Our culture despises authority. Why? Because we are sinners who want to be in charge of our own lives. The attitudes in a church should be different from the attitudes in the world. Have you ever thought that to submit to authority is to act like God? We can be like God both by how we lead and how we submit. The apostle Paul writes, “The head of Christ is God” (1 Cor. 11:3). Jesus declared, “I have come down from heaven, not to do my own will but the will of him who sent me” (John 6:38). Hours before he was to be crucified, Jesus prayed, “Father, if you are willing, remove this cup from me. Nevertheless, not my will, but yours, be done” (Luke 22:42). The relationship of authority and submission between the Father and the Son works because of their love for each other. [Read Philippians 2:1-11.] How awful does our selfish ambition and conceit look when compared to the Son’s submission to the Father culminating in his crucifixion? Are we reflecting the image of God in our church? “I tell you the truth: it is to your advantage that I go away, for if I do not go away, the Helper will not come to you” (John 16:7). When I was kid, one of my favourite TV shows was The Dukes of Hazzard. Sometimes an episode would end with the words “To be continued.”  What would happen next? The book of Acts is part two of the story. If the Gospel of Luke is about what Jesus “began to do and teach,” the book of Acts is about what Jesus continued to do and teach. But how did Jesus do and teach anything in the book of Acts? Where is he? He’s not on earth. He’s in heaven. So how did Jesus continue to do and teach things on earth? Through the presence and power of the Holy Spirit in the lives of his followers. Shouldn’t the presence and power of the Holy Spirit make a difference in our lives? What would Christianity look like if everyone was as committed as you are? What does the Bible tell us about the Holy Spirit? The Holy Spirit is a person. He’s not an impersonal force. Jesus says, “He [not “it”] dwells with you and will be in you” (John 14:17). The Holy Spirit is God. Jesus told the disciples to baptize people “in the name of the Father and of the Son and of the Holy Spirit” (Matt. 28:19). He said “name,” not “names,” indicating that there is one God who exists as three distinct persons: Father, Son, and Holy Spirit (i.e., the Trinity). The Holy Spirit lives inside believers. Jesus tells the disciples, “[The Holy Spirit] will be in you” (John 16:17). The Apostle Paul writes, “Your body is a temple of Holy Spirit within you” (1 Cor. 6:19). Do you live with the awareness that God is living inside you? The Holy Spirit wants Jesus to get the attention. Jesus says, “[The Holy Spirit] will glorify me” (John 16:14). What does the Holy Spirit want to accomplish in our lives? He wants us to believe in Jesus, act like Jesus, and talk about Jesus. Jesus says, “I tell you the truth: it is to your advantage that I go away, for if I do not go away, the Helper will not come to you” (John 16:7). Is the Holy Spirit inside us better than Jesus beside us? We doubt that statement because we underestimate what the Holy Spirit can do in and through us. Jesus gave his followers a huge task: take the gospel “to the end of the earth” (Acts 1:8). But he didn’t tell them, “Start right now.” He said, “Wait.” Wait for what? The sending of the Holy Spirit (“wait for the promise of the Father,” Acts 1:4). If God lives inside us, why don’t we act more like Jesus and talk more about Jesus? Do you want people to be saved? Every Christian will say, “Yes, I’d like people to be saved.” But do you want that to happen to the point that you’ll do something about it? I can say, “It would be nice to have a burger right now.” But am I going to do something to get a burger (e.g., go to the kitchen and make on or drive to a restaurant and buy one)? Do you really want the Holy Spirit to make a difference in your life? To ask the Holy Spirit to work in and through us can be a scary thing? What will he do? 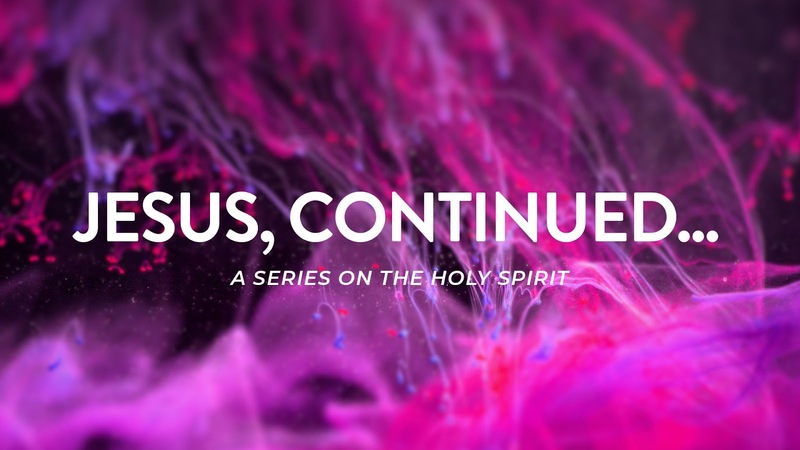 The title of this sermon series was taken from J. D. Greear’s book Jesus, Continued…. Unless otherwise stated, all Scripture quotations are from the English Standard Version. Jesus called the Holy Spirit “another Helper” (John 14:16), indicating that Jesus is also our Paraclete (1 John 2:1). Francis Chan, Forgotten God, p. 18. We rejoice in hope of the glory of God (v. 2). Since today is Mother’s Day, we could think for a moment about the disappointments that many women experience. A young woman has high hopes when she imagines what marriage and mother-hood will be like. But sometimes a woman discovers she can’t have children. Sometimes a woman’s adult children abandon her. Sometimes a woman’s marriage falls apart. 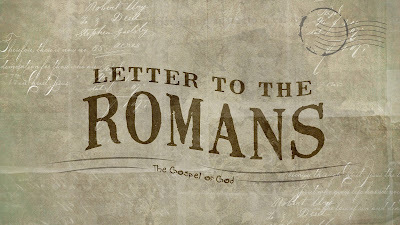 So far in his letter to the Romans, Paul has written about the need for justification (1:18-3:20) and the way of justification (3:21-4:25). Now he tells us about the results of justification: “Therefore, since we have been justified by faith” (v. 1a), we have…. We have peace with God. “We have peace with God [i.e., reconciliation] through our Lord Jesus Christ” (v. 1b). Peace is not just the absence of the negative (i.e., hostility) but the presence of the positive (i.e., harmonious well-being). We have grace from God. “Through him we have also obtained access by faith into this grace in which we stand” (v. 2a). Our relationship with God is one that is built on God’s grace—from start to finish. We have hope in God. “And we rejoice in hope of the glory of God” (v. 2b). Later in Romans, Paul will write, “Those whom [God] foreknew he also predestined to be con-formed to the image of his Son…. And those who he predestined he also called, and those whom he called he also justified, and those whom he justified he also glorified” (Rom. 8:29-30). Paul says, “We rejoice in hope of the glory of God.” Our hope is something to celebrate! What Paul writes next might cause us to scratch our heads: “Not only that, but we rejoice in our sufferings” (v. 3a). Why would we rejoice “in our sufferings”? Here’s Paul’s answer: “Knowing that suffering produces endurance [like how a marathoner builds endurance] and endurance produces character, and character produces hope” (vv. 3b-4). How does character produce hope? Suffering tests our faith. When suffering produces character in our lives (rather than anger, etc. ), we have assurance that our faith is real. And if have assurance that our faith is real, then we have greater certainty about our hope. “I consider that the sufferings of this present time are not worth comparing with the glory that is to be revealed in us” (Rom. 8:18). Our sufferings—which can be very great—are insignificant compared to the glory we will one day experience! Paul says, “Hope does not put us to shame [“will not lead to disappointment,” NLT]” (v. 5a). You and I have had people let us down, but God won’t let us down. We know God won’t let us down because we’re certain that he loves us: “God’s love has been poured into our hearts through the Holy Spirit who has been given to us” (v. 5b). God’s love has been revealed to us (in a subjective way) by the Spirit and (in an objective way) by the cross (v. 8). So get your hopes up! John R. W. Stott, The Message of Romans, p. 140. Thomas R. Schreiner, Romans, p. 255. Douglas J. Moo, The Epistle to the Romans, p. 302. No unbelief made him waver concerning the promise of God, but he grew strong in his faith as he gave glory to God, fully convinced that God was able to do what he had promised (vv. 20-21). Every day we hear incredible promises from advertisers. For example, lots of exercise gadgets (e.g., the Ab Roller) promise to give you “rock-hard abs.” But those gadgets usually end up in yard sales. They don’t do what they promise to do. If it sounds too good to be true, it probably is. What is faith? We need to understand what faith really is. The apostle Paul shows us what biblical faith is by telling us about the faith of Abraham, the “forefather” of the Jews (v. 1). On a clear night, God takes Abraham outside. He tells him to look up at the stars and try to count them. And God says to Abraham, “So shall your offspring be.” Abraham’s descendants will be as numerous as the stars in the sky! That’s an incredible promise! The word “incredible” means “difficult to believe.” God’s promise is hard to believe. Abraham and his wife Sarah are old and childless. To have even one descendant is physically impossible for them. But is anything too hard for God? In spite of how everything looks, Abraham believes. Genesis 15:6 says that Abraham “believed the LORD, and he counted [i.e., credited] it to him as righteousness” (cf. v. 3). Paul quotes this verse to show that Abraham was justified (i.e., declared righteous, innocent of wrongdoing) by faith, not by works (i.e., obeying God’s law). Back in Paul’s day, a big question was, “Is justification only possible for ‘the circumcised’”? Paul points out that Abraham was justified before he was circumcised (Gen. 17). God had not only promised Abraham that he’d have countless descendants, but that he’d also be the father of many nations (Gen. 17:5; cf., v. 17). Paul says that this promise has been fulfilled because Abraham is the father of all who believe (vv. 11-12)—whether they are Jews (i.e., circumcised) or Gentiles (i.e., uncircumcised). How did Abraham become the father of many nations? Centuries later, the son of Abraham would be born—Jesus (Matt. 1:1). He was named “Jesus” because he would “save his people from their sins” (Matt. 1:21). “His people” would be every person (regardless of nationality) who would put their faith in Jesus. Before his ascension, Jesus told his followers to “make disciples of all nations” (Matt. 28:19). And that’s what they did. They took the gospel everywhere. It even reached us! Everyone who believes the gospel becomes a son or daughter of Abraham. Being a son or daughter of Abraham means we enjoy the blessing of God. God promised Abraham, “In you all the families [i.e., nations] of the earth shall be blessed” (Gen. 12:3). The apostle John was given a vision of heaven, and he tells us what he saw: “I looked, and behold, a great multitude that no one could number, from every nation and peoples and languages, standing before the throne and before the lamb…and crying out with a loud voice, ‘Salvation belongs to our God who sits on the throne, and to the Lamb!’” (Rev. 7:10). God’s love extends to all people. On that night when Abraham tried to count the stars, one of the stars represented me—a son of Abraham! Paul says that Abraham was “fully convinced that God was able to do what he had promised” (v. 21). “In hope he believed against hope, that he should become the father of many nations” (v. 18). “He did not weaken in faith when he considered his own body, which was as good as dead (since he was about a hundred years old), or when he considered the barrenness of Sarah’s womb” (v. 19). He trusted the God “who gives life to the dead [i.e., Abraham’s “dead” body and Sarah’s “dead” womb] and calls into existence the things that do not exist [i.e., many nations that didn’t yet exist]” (v. 17). “No unbelief made him waver concerning the promise of God, but he grew strong in his faith as he gave glory to God” (v. 20). What is faith? Faith is the firm belief that God will do whatever he has promised to do. Abraham’s faith didn’t weaken and didn’t waver. He believed even when it seemed crazy to keep on believing. But if you’ve read about Abraham in the book of Genesis, you might disagree with Paul’s description of Abraham’s faith. Didn’t Abraham’s faith weaken and waver? Yes, at times it did. But those were momentary lapses of faith. There is no believing without some doubting. Faith is based on God’s word. But many times we believe things that God hasn’t promised. Faith is a willingness to receive. We don’t get the credit for receiving. The glory goes to God. Faith is nothing without God. For what does the Scripture say? “Abraham believed God, and it was counted to him as righteousness” (Rom. 4:3). 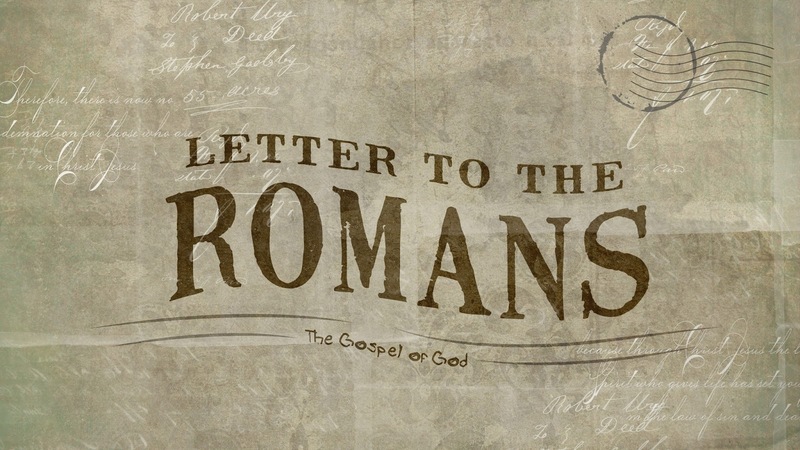 There appears to be a contradiction between Romans 4 and James 2 regarding how Abraham was justified. Paul says that Abraham was justified by faith. James says that Abraham was justified by works. “To the one who does not work but believes in him who justifies the ungodly, his faith is counted  as righteousness” (Rom. 4:5). “Was not Abraham our father justified by works when he offered up his son Isaac on the altar?” (James 2:21). Do Paul and James contradict each other? Are we justified by faith or works? These questions are not just for theologians to debate. These questions affect our belief in the trustworthiness of the Bible and our understanding of how we can be justified. What’s more important than that? In order to properly understand what Paul and James are saying about justification, faith, and works, we need to know two things. First, we need to know the chronology of Abraham’s life. The story of Abraham begins with God giving Abraham an amazing promise: “I will make of you a great nation” (Gen. 12:2). The only problem is that Abraham is seventy-five years old (Gen. 12:4) and his wife Sarah is barren (Gen. 11:30). More time passes. And just when it looks like Abraham and Sarah will never have a son, God’s promise is fulfilled. They name their long-awaited boy Isaac (Gen. 21:1-3). Both Paul and James quote Genesis 15:6. Paul quotes that verse to show that Abraham was justified by faith. James points to the story of Abraham’s willingness to offer up Isaac on the altar as proof that Abraham was justified by works. Which came first? Abraham’s faith or his obedience? Abraham was justified by faith before he was justified by works. But what does that mean? Justified by Faith or Works? Are we justified by faith or works? Both. Huh? Justification isn’t the only things that happens when we put our trust in Jesus. We are also given the Holy Spirit who begins the work of transforming us (i.e., putting within us love for God and others). If we have been justified by faith, we will show evidence of our justification by our works. In Galatians 5:6 Paul says that what matters most is “faith working through love” (“faith expressing itself through love,” NIV). Paul and James don’t contradict each other; James is refuting an abuse of Paul’s teaching. What James writes is a response to people who were saying, “We have faith. Don’t bother us about how we should live.” This could be why James says what he does in vv. 15-17 (see also 2:1-4, 8-9; 3:8-11). Our love for God and others (or lack thereof) is a good test of the genuineness of our faith. To “count” (logizomai) means “to ‘credit’ or ‘reckon’, and when used in a financial or commercial context, it signifies to put something to somebody’s account, as when Paul wrote to Philemon about Onesimus: ‘If he has done you any wrong or owes you anything, charge it to me.’ There are, however, two different ways in which money can be credited to our account, namely as wages (which are earned) or as a gift (which is free and unearned), and the two are necessarily incompatible” (John R. W. Stott, The Message of Romans, p. 125). Skeptics often claim that it would be immoral for God to tell Abraham to kill his son. However, God’s command for Abraham to sacrifice his son Isaac was a test of faith (Gen. 22:1) that resulted in a promise of divine blessing for Abraham and his descendants (Gen. 22:15-18) and foreshadowed God’s gracious sacrifice of his only Son. Isaac’s life was spared, God “did not spare his own Son but gave him up for us all” (Rom. 8:32). “James 2:21, 24, and 25 are the only verses in James that contain forms of the verb ‘justify’...; in each case, the term means to ‘show to be righteous.’ Thus [Abraham was] shown, in history, to be righteous by [his] actions, giving proof of [his] prior spiritual state (cf. Ge 22:12, with its ‘now I know’)” (Craig L. Blomberg, Miriam J. Kamell, James, p. 136).